It's an action-packed finale as Roger, Jessica, Richie and a calvacade of Toons take on the Nazis and try to save the Allied leaders from a nefarious plot! Will we win the war? Will Roger and Jessica live happily ever after? Will Roger ever find his real mother? HINT: All these questions have the same answer. 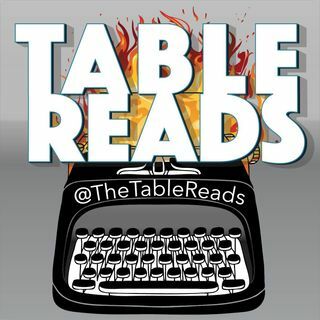 We at Table Reads would like to once again give screenwriter Nat Mauldin massive kudos for such a funny, well-executed script. Our normal fare is mockery, but this script is beyond ... See More good; it is a masterwork, a great addition to the Roger Rabbit mythos with a true love of cartoon apparent in every scene. Thanks, Nat. If you liked this episode: don't get used to it. We're back to reading bad scripts next week! But if you like THOSE, subscribe! We're on iTunes, Google Play, Stitcher, etc.